Our Bagpipe Weekend runs alongside the Hurdy Gurdy Weekend, in a frenzy of reeds, drones and buzzing things! 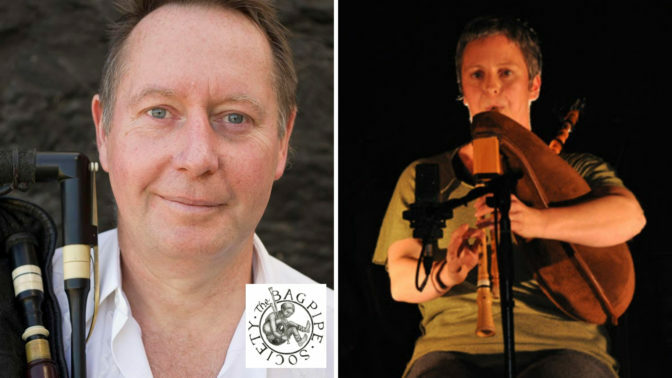 This year we’re delighted to welcome Olle Geris to teach Intermediate / Advanced level players (G pipes only), and Dave Faulkner, who will lead a course for beginners. For an extra £35, participants can stay until Monday morning, including supper and B&B. Please enquire at booking. We are very grateful to The Bagpipe Society for their support of the event this year! David’s Course: For complete beginners, we will be looking at how to make the instrument work, posture, tuning, basic techniques, simple repertoire to enjoy when learning to play. Most of the learning will be by ear with music scores provided to support our learning. We will aim to have a bit of fun too! Please note that under 16s must be accompanied by an adult. Please tell us when booking if you are coming to the Beginners’ course, or the Intermediate / Advanced level course, thank you.